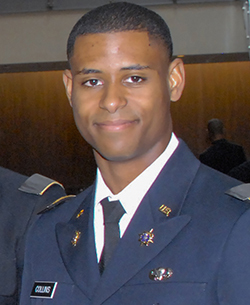 Since the untimely passing of 2LT Richard Collins III, Bowie State University has accepted donations and well-wishes from family, friends and concerned citizens across the country who wanted to make a statement of hope. The university stewarded those gifts and is working with the Collins family to establish a scholarship fund that will carry on the values and legacy of 2LT Collins on the campus where his life was transformed. The Bowie State University Foundation will continually accept donations for the 2LT Richard W. Collins III Social Justice Endowed Scholarship, and the first recipient will be awarded by fall 2020.